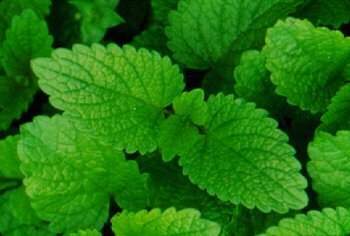 Like the words from the hymn,”There is a Balm in Gilead,” there is a lemon balm down here in Lizard Holler. As a matter of fact, lemon balm is rampant! My wife Maggie planted this healing herb about 4 or 5 years ago and it now holds a very commanding presence in our front yard. Where our mint plants used to prosper, lemon balm reigns supreme! Curious chef that I am, I had to know how the mountain folks used this herb. Well, first they planted it outside their front doors to keep evil spirits away. Then they picked the fresh leaves to make a balm that was healing for cold sores [Herpes virus], skin rashes, sunburn, and insect bites. The leaves were crushed and rubbed directly on the skin as an insect repellent. The leaves contain large quantities of citronella. Leaves and flowers were dried and used for tea and medicinal purposes in the Fall and Winter. Nowadays, cutting edge bartenders use the leaves in drinks and as edible garnishes. Finally, they used the dried leaves and volatile oil for aromatherapy. They felt it to have calming qualities, helping with anxiety and sleeplessness. I have a culinary friend that swears by dicing it up and adding it to egg dishes. He mixes it with his mint in sauces for pork, lamb, beef, and chicken. I find it adds that extra dimension to a fresh garden salad. If you decide to plant “Melisssa officinalis,” remember, it will take no prisoners. It will survive, divide, and conquer! This entry was posted in Flora and Fauna, Herb, Medicinal Herb, Medicinal Vegetable, Recipe and tagged Herb, Herpes labialis, Insect repellent, Melissa officinalis. Bookmark the permalink.